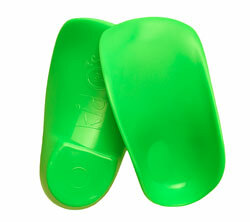 PFI was born out of the need to injection mold orthotic shells. 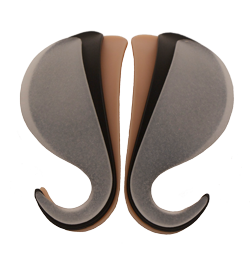 All of PFI's injection molded orthotic shells were developed by the custom orthotic manufactuing company KLM Laboratories. Below you can see the injection molded orthotic shells that PFI provides for its longtime customer KLM Labs. These products are available from KLM Labs if you intend to order small quantities, and are available from PFI when the order is for at least 2000 pairs. The CP-3300 shell is based on KLM Labs patented System_Rx Technology. 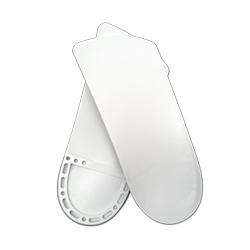 Based on the study of thousands of feet, the CP-3300 is the average functional foot orthotic by shoe size. They come in three standard rigidities controlled by glass fill. Available in sizes Men's 4-16, or Women's 6-18. The Posted CP-3300 is the same shape as the CP-3300 except with an intrinsic 2 degree inverted post in addition. Currently available in men's sizes 6-11, with more to come. PFI is also developing heel lift attachments for the post, which will clip on to the horseshoe design of the plantar post. 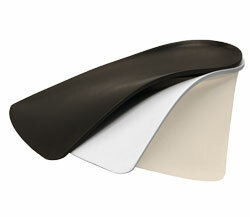 The CP-Cobra shell is based on the CP-3300 shell; however, the plantar heel and lateral aspect of the shell are removed. Designed for providing support in close fitting shoes, the CP-Cobra are great orthotics when fashion is at stake. System_Rx technology was originally developed between 1990 and 1999. The technology was the result of KLM technicians programming computers and milling machines to make custom prescription foot orthotics. After mathematically analyzing thousands of uncorrected and corrected plaster models of men’s and women’s feet, KLM technicians began to recognize and identify common shapes and structures that resulted from creating plaster foot models and then correcting them to meet the specific needs of individual patients. After a decade of research and development, System_Rx technology proved to be more accurate than traditional methods and as well as more cost effective—revolutionizing the custom foot orthotic industry.